The last time we reported the figures, the children's book market in China was growing at the rate of 15% a year. Has that trend continued? Kan Ninghui The growth of China's children's book market continues. It is growing at a significantly higher rate than other genres in the entire book market. In the UK, digital publishing is only a tiny portion of the children's book market. Is that the case in China too? KN Currently, digital publishing is really just a small part of the children's book market in China. But its growth rate is obviously accelerating. Especially thanks to mobile reading products on phones and tablets, and to audiobooks that can be listened to in cars, the number of users is growing. How important is the Shanghai International Children's Book Fair to Shanghai Century? KN For Shanghai Century Publishing Group, CCBF is an important platform to promote our international development strategy and a significant opportunity to promote domestic original children's literature to our international counterparts. In China, the Juvenile & Children’s Publishing House, a subsidiary of the group, is the oldest professional children's publishing house and the largest publisher of original children's literature in China. Other publishing houses under the group - engaged in the publishing of music, fine arts, popular science books, foreign literature, reference books and teaching materials for young people - are all market leaders. So CCBF is an international exhibition that Shanghai Century Publishing Group attaches great importance to. As the most active exhibitor with the largest booth, we have rented a total area of 264 square metres this year and organised 50 events. 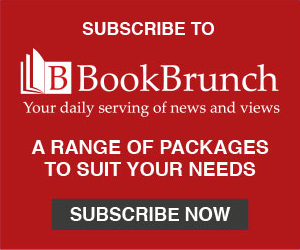 What kinds of books are you looking to buy? KN Shanghai Century Publishing Group has 19 publishing houses. The demand is large and various. Content that is strong in readability and visual appeal will certainly attract our attention. The outstanding works in middle grade fiction are arousing our interest; and books that enrich children's interest in science and art are also the focus of several of our publishers. What advice would you give to overseas publishers looking to sell to you? KN My advice is: visit China more frequently, visit Shanghai and the CCBF more frequently. In recent years, I have seen more and more international publishers. I hope my colleagues in overseas publishers can understand that not every Chinese house is looking just for bestselling titles; and the publishers aiming at particular areas of the market have achieved steady growth and won readers' long-term recognition. Strengthening ties with these houses will help foster long-term and effective cooperation. Do you think that the Western publishers who come to Shanghai are showing more interest in Chinese children's books? KN I think Western publishers will pay more and more attention to China's original children's books, from traditional Chinese stories to contemporary children's literature in Shanghai. I notice that the cooperation between Chinese and foreign publishing houses in the production of books is getting closer and closer. For example, Chinese writers and foreign illustrators have co-authored titles. These are good signs. Obviously, in the next stage, the cooperation between Chinese illustrators and foreign writers will also continue to increase. What have Shanghai Century's particular successes been in the past year, and what are you looking forward to publishing? KN As one of the publishing groups with the largest number of publishing houses and the most complete publishing categories in China, Shanghai Century Publishing Group continued to consolidate our leading position in academic publishing and professional publishing over the past year. According to a series of important industry indicators (such as the national publishing planning projects, the national publishing fund projects), we are ranked first in each domestic publishing group. In the field of children's book publishing, the group's children's publishing house has won almost all the national children's literature creation and publication awards this year. I would say the group is entering a "golden harvest period". In addition, the Shanghai Translation Publishing House has secured the Chinese translation of all the titles by Kazuo Ishiguro, the winner of the Nobel Prize in Literature 2017. It reflects the publisher's judgement and long-term adherence to first-class literary works. Shanghai Century Publishing Group has maintained a long term commitment to Kazuo Ishiguro's works, even when he was not a bestselling author here. When talking about the future of children's book publishing, I hope Shanghai Century Publishing Group will keep improving the artistic appeal and the visual expression of its output, and increase its commitment to excellent domestic original children's books. We expect that in 2018, there will be more international children's book publishing counterparts to read our new books, get to know our authors, and join our activities. And we hope there will be more international publishing colleagues coming to Shanghai, drinking coffee, talking about contracts or holding book events along with our copyright managers. Shanghai is the window of China's opening up and cooperation. Shanghai Century Group is a beautiful and unique cultural landscape through this window. 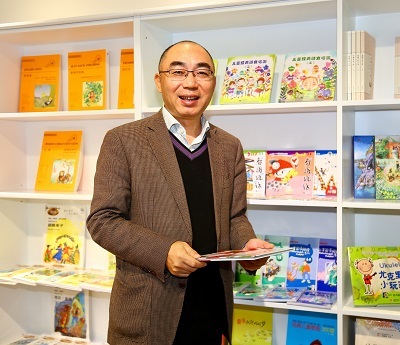 Kan Ninghui is vice president of Shanghai Century Publishing Group, the largest exhibitor at the Shanghai International Children's Book Fair, which took place this weekend.